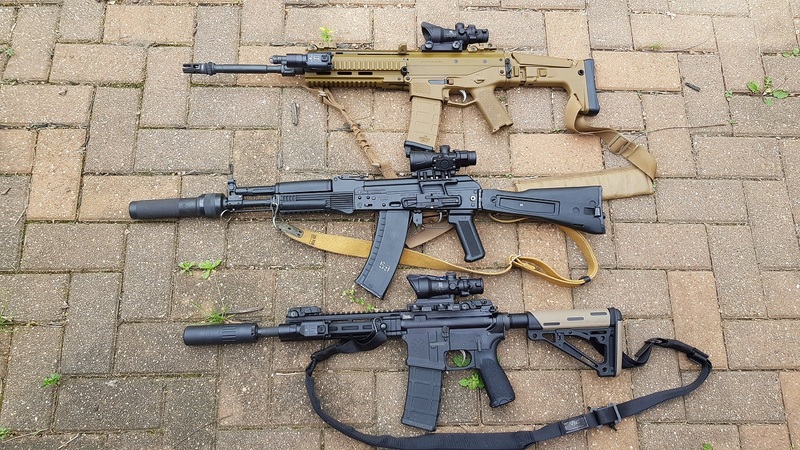 Over the years I have expanded beyond just Russian optics and acquired Aimpoints and Trijicons to add the collection. 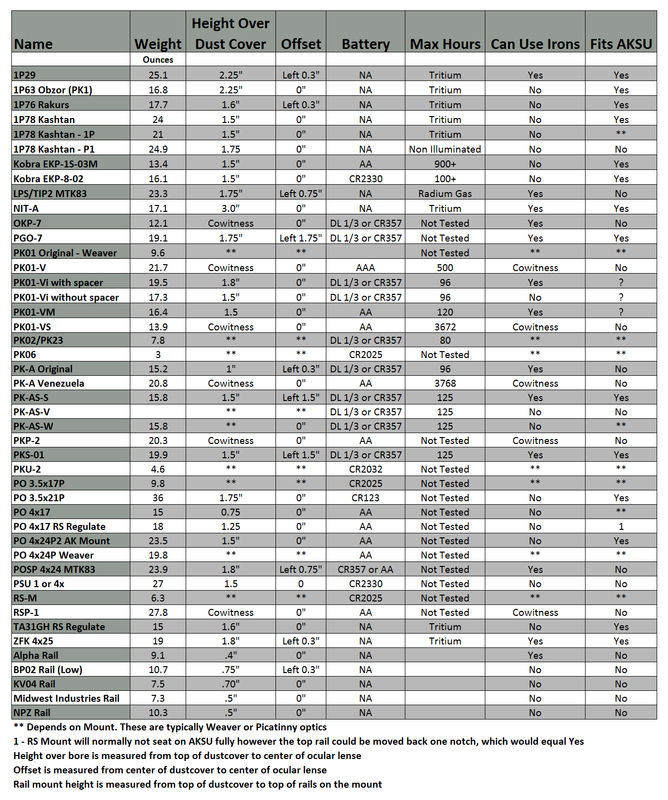 As you would expect from combat proven optics with the stellar reputations both companies have, they have not been disappointing and have all been solid optics. It has been very interesting comparing them directly to the latest Russian combat designs. In the past ACOG optics weren't normally associated with AK's but things having been changing in the past few years. This was mainly due to price but also because of a distinct lack of a good mounting solution which tended to put the optic higher than most people seemed to care for. 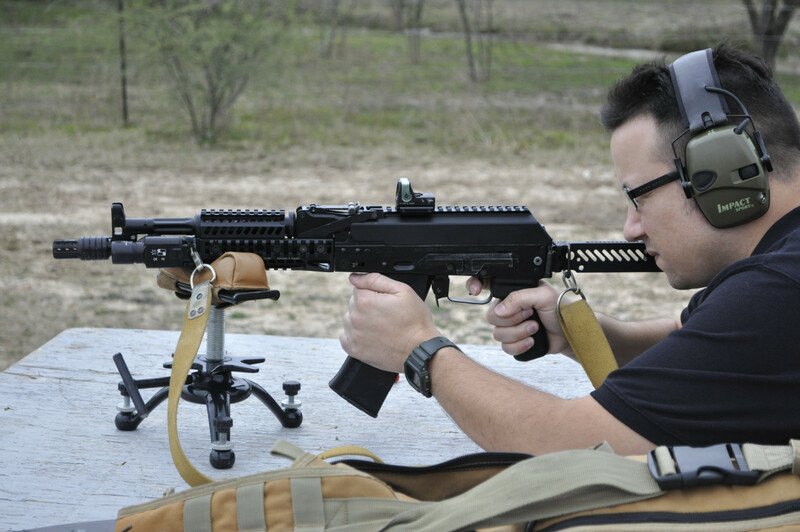 There were good mounts like the NPZ but those were rare and not common knowledge, so shooters new to AK mounts had few good choices in the market. A long time ago BP02 was the most common "Russian" mount (Actually Belarussian from BelOMO) but it is far from being the best design ever and was really intended for civilian sale rather than military. Since most AK's are 7.62x39 it also wasn't ideal adapting a 5.56 or 7.62x51 ACOG to the rifle, but Trijicon has produced a 7.62x39 calibrated optic for the AK and variants.Browe Combat Optics has as well, and RS Regulate has slam dunked the perfect mount for both. Closeup showing the fiber optic tube. This definitely needs to be masked or taped off during bright sunlight to reduce the eye searing brightness of the reticule. TA31 G H stands for Green Horseshoe, which I have become a huge fan of. TA33-8 on AKOG mount. 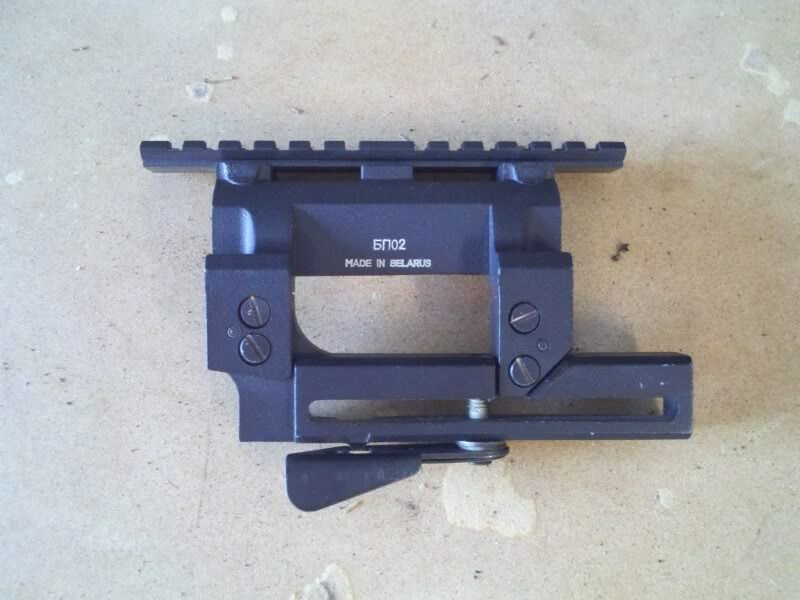 Again this is the best mount for this optic bar none. I really like this 'red dot'. 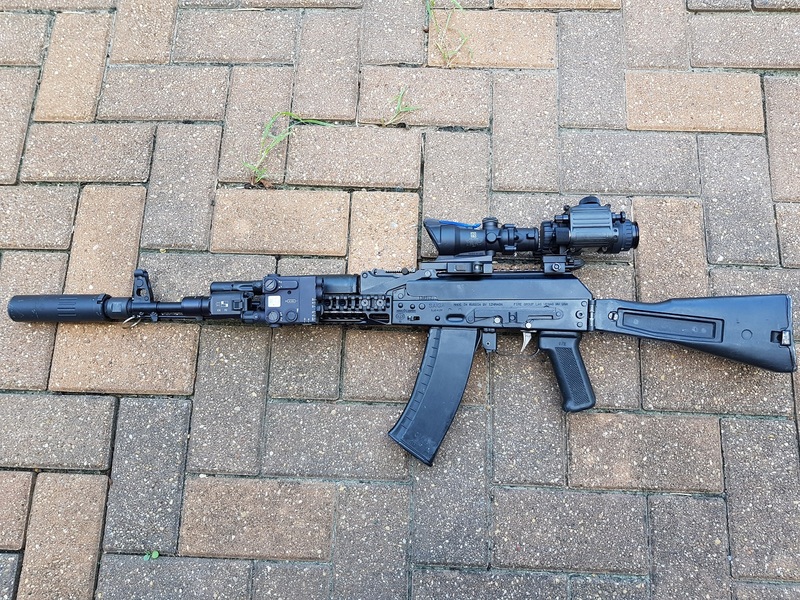 It is lightweight and has a neat green triangle reticule similar to Obzor however I find this optic has a serious issue with the light sensor. Since it adapts to the illumination that reaches the sensor on the optic it works great outside, and is reasonable inside where the overall illumination is about the same. That is to say that inside the reticule dims but the background is also dimmer so the triangle stays visible. The problem comes when being inside with the dimmer triangle and viewing or shooting to a target outside in bright light...the reticule is complete washed out because the contrast is not high enough to overcome the outside brightness. 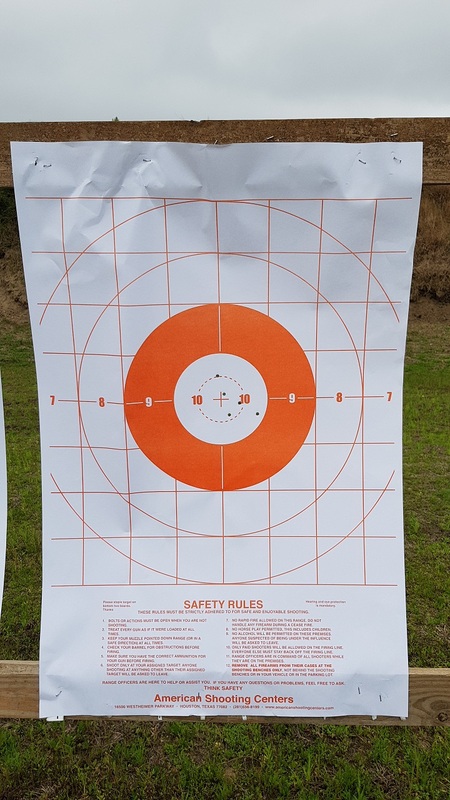 So while being small and super lightweight, this would not be a SHTF optic for me though it is a lot of fun at the range. It's a good optic as long as one is aware of this limitation.